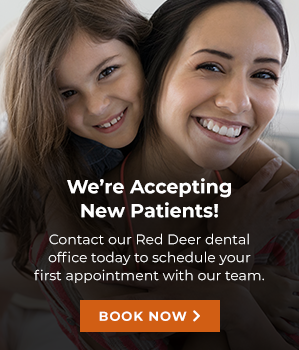 At Southpointe Dental in Red Deer, we offer amalgam-free dental services. If you want your dental restorations to look more natural, we provide amalgam-free dental services that include preventive, restorative, and cosmetic dental treatments to improve the health and appearance of your smile. Amalgam-free dental treatments can restore your teeth in an effective and aesthetically pleasing way without the use of metal. Our amalgam-free dental solutions include non-metal fillings and dental crowns, dental bridges, non-surgical gum therapy, root canal therapy, teeth whitening, hygiene services, Invisalign® invisible braces, dentures, and dental implant services. Our treatments are tailored to your specific needs, such as repairing a decayed tooth, wisdom teeth removal, and replacing a missing tooth. We will work with you to meet and treat your oral health needs. Our team is available to answer questions about Amalgam-free Treaments.